The Global Exchange is a program of Presbyterian Women that focuses on building relationships with church partners, women's organizations, and Christian sisters around the world. 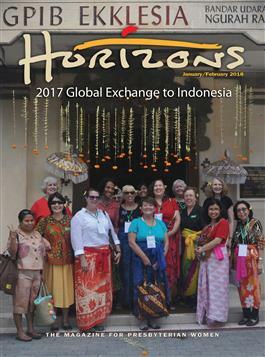 This issue is about the 2017 Global Exchange to Indonesia. Included within its pages is a helpful "maps and facts" resource about Indonesia.